Along with medical, surgical and dental services Village Veterinary also provides client information and guidance for various aspects of your pet's well-being and welfare. We realise that many of our clients view their pet as part of the family. With this in mind, and in order to provide the level of care you would expect for your pet, we have invested considerably in our hospital facilities and staff training and education and have a programme of constant re-investment and upgrading of both skill and equipment levels. Village Veterinary Hospital provides a farm animal and equine service up to a ten mile radius of Kilkenny city. 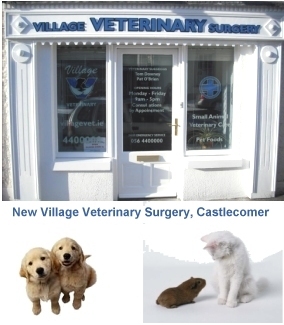 In January 2010, Tom Downey and Pat O'Brien opened Village Veterinary Surgery in Castlecomer. 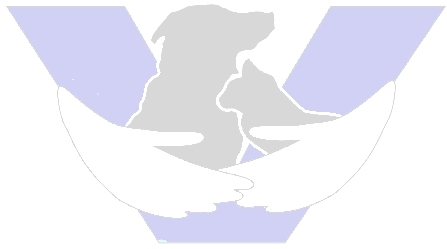 Village Veterinary Surgery is open 9am to 5pm, Monday to Friday, with a full time veterinary nurse in attendance. A comprehensive veterinary service is provided to our many clients in the Castlecomer area. This website is designed to inform you about our services and facilities and to act as a source of information on many aspects of pet health and well-being. Occassionally we can accommodate other visits during the day also, please calll before you visit the practice. Outside of offices hours an emergency service is provided 24/7. Please call 056 776 2674, the phone will always be answered by Village Veterinary personnel. Emergencies facilitated at all times, out of hours contact us first to avoid delays. Regrettably we have had to close our Castlecomer Branch Practice. We thank all our Castlecomer clients for their business over the last eight years, and assure you that we will continue to serve you and your pets at Village Veterinary Hospital, Kells road, Kilkenny.